A trendy wall mounted makeup magnifying mirror made in very high quality brass and finished in chrome, gold or brushed nickel. 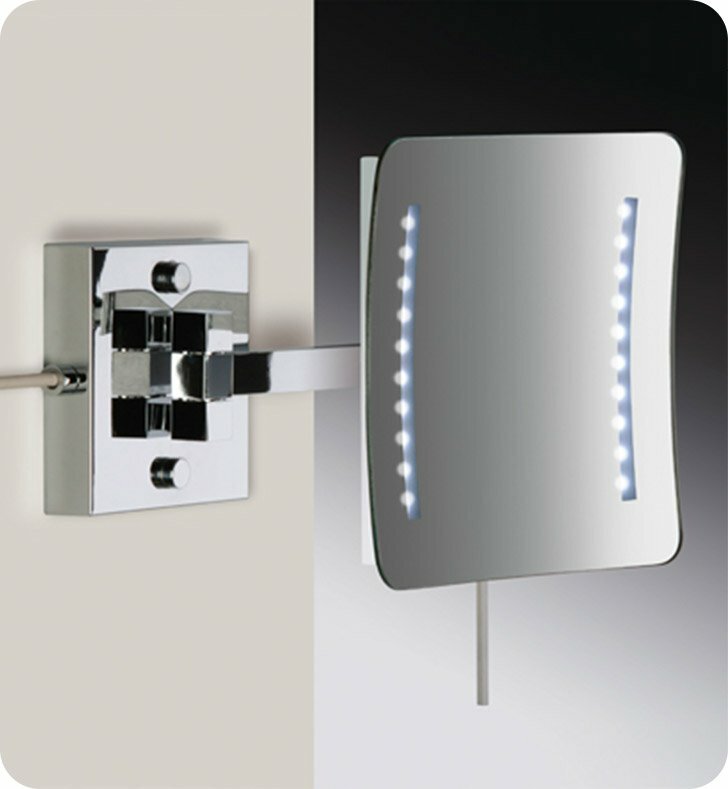 This cosmetic mirror from the Windisch Wall Mounted LED Mirrors collection is a contemporary-style magnified mirror. Designed and built in Spain. Will fit perfectly into your designer master bathroom.